Thank you – it’s the ONE nice view on my hour long walk to work! Thank you – it is a lovely view to see every day! Thank you – it’s one of my favourite views of Cardiff. Thank you! I am lucky to see it every day. 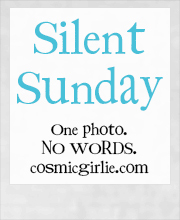 Thankyou – your Silent Sunday is pretty good too! Lucky you having that view to start you work day off nicely. The view is sandwiched between two chunks of main road walking on either side, it’s a welcome break! Great picture – love the reflection of the sky in the water. Hmmm, maybe it’d pay for the Christmas shopping !! Stunning shot. Live the texture and colour of the sky. Would look great on canvas!